Yes, I want to have the 8 things everyone wants in life. I want to take advantage of this limited-time special discount and save $40 today! 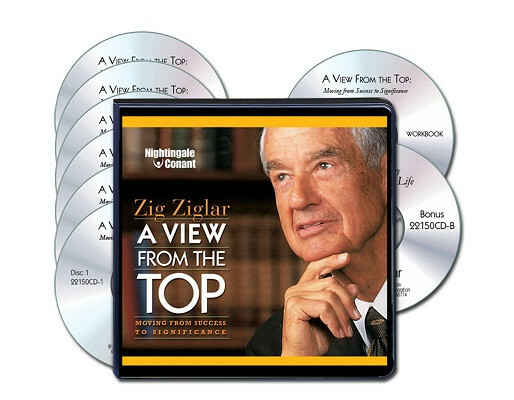 Please send me Zig Ziglar’s bestselling 6-CD audio program A View from the Top, plus Workbook on CD and Bonus CD for ONLY $39.95 — $40 OFF the everyday retail price! Take advantage of this limited-time special discount now! GUARANTEE: If I don’t go beyond success to significance, I can simply return the program in the next 30 days for a full refund. No questions asked.